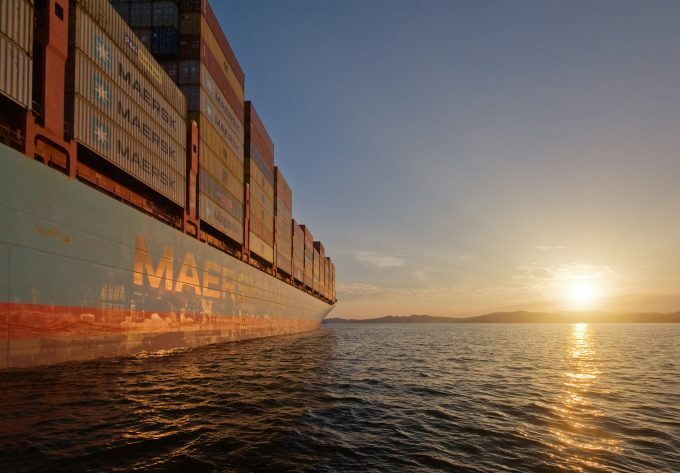 Maersk’s share of global container shipping capacity has shrunk by 1.5% in the past 12 months, while its main rivals, particularly Cosco, have gained ground on the market leader, according to Alphaliner’s latest data. The capacity offered by Maersk Line and its subsidiaries has declined by 2.6% to 4.02m teu while global capacity increased by 6% to 22.69m teu during the same period, noted the consultant. “Maersk is expected to continue to retreat in the next 12 months, as its CEO, Soren Skou, has confirmed that it will not pursue further acquisitions or order large new ships in 2019,” said Alphaliner. Alphaliner said the withdrawal, demanded by Chinese regulators as a condition of Maersk’s takeover of Hamburg Süd, would prove a further challenge, as rivals circled to pick off its customers. Nevertheless, according to Maersk Line’s chief commercial officer, Vincent Clerc, Hamburg Süd shippers are proving loyal. Last week, Mr Clerc claimed volumes had so far been retained, although annual contract renewals were still to come. “The Hamburg Süd team has done a fantastic job in retaining their business during the integration of the networks in the second quarter, and we can see that their customers are still with them, and the volumes keep on coming as we expected them to,” he said during Maersk’s Q3 earnings call. He attributed the high retention to its takeover “trade-off” in keeping the separate Hamburg Süd “brand, organisation and value proposition”. During the same earnings call Mr Skou confirmed the carrier was “not planning to order any large ships before 2020 at the earliest”. Following the restructuring of its business, Maersk no longer publishes the net profit or loss for its individual transport and logistics sectors, but based on Alphaliner estimates, the carrier’s ebit margin declined to 3.8% in the third quarter, versus the 4.1% margin in its Q3 17 accounts. According to Alphaliner’s capacity league table, the biggest capacity gain during the 12-month period was by Cosco, 11.6% to 12.4% from a number of big ship deliveries, while Evergreen, Hapag-Lloyd, Yang Ming and HMM all added capacity, but surprisingly, not CMA CGM. Of particular note is that the table reveals that MSC conceded 0.1% in capacity share, year on year, which could be of concern to the normally bullish Geneva-headquartered carrier. MSC’s capacity growth aspirations are clearly being held back by the cautious network approach of its 2M alliance partner, Maersk.